Who wraps Christmas presents at the last minute and is never to sure if you got enough wrapping paper? Or, who is lazy, like me, and instead of wrapping paper uses gift bags? I recently discovered Wrapeez, a company that makes reusable gift wraps, and is eco friendly! I instantly fell in love and can't believe something like this was JUST created by two sisters Stephanie and Jodi. 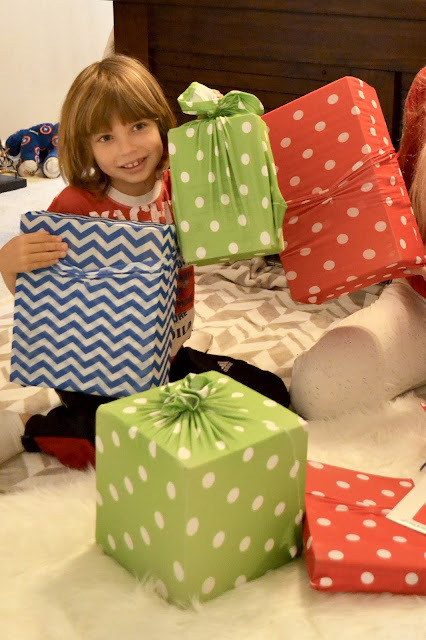 Their gift wraps are stretchy, so they stretch over different shapes and sizes. You can literally wrap your gift on the way to a party in the car, or at work or anywhere you can think of. It's that simple. It’s that quick. 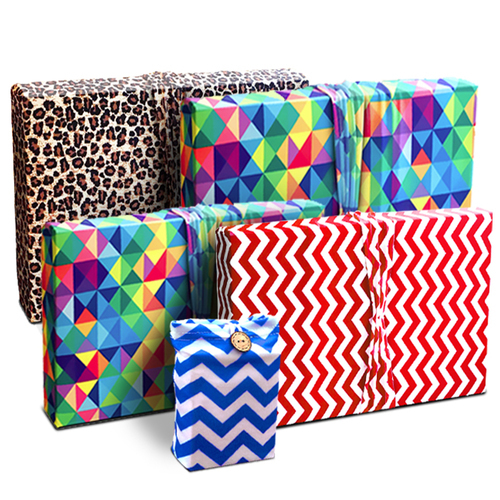 Wrapeez design all kinds of fashionable pattern prints with rich colors to enhance every gift. With their designs you can wrap birthday gifts, holiday gifts or wedding gifts. My favorite, especially for Christmas coming up, is the red polka dot wrap. Just imagine how much time and money you'll save on wrapping if you go with Wrapeez this holiday! Interested in purchasing Wrapeez? Use discount code GIFTWRAPPING17 for 25% off your entire order and FREESHIPPING25 for free shipping on orders over $25. These codes are valid through December 31, 2017 and can be combined! I'm also going to be giving the entire Wrapeez set away on my Instagram, so make sure you head over @fabuloustorture to enter. *NOTE: If every American family wrapped just 3 presents in re-usable material, it would save enough paper to cover 45,000 football fields. People throw away 226,800 miles of wrapping paper over the holidays.